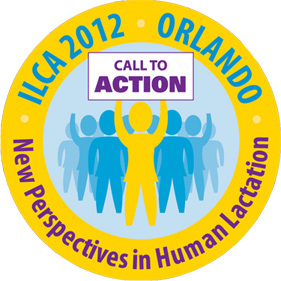 Will you be tweeting about the 2012 ILCA Conference under hashtag #ilca2012? If so, you’ll have a chance to win one of our daily prizes, regardless of whether you are attending the conference or not! Consider this our small way of thanking the TwIBCLCs (IBCLCs who tweet) for spreading nuggets of knowledge to people interested in breastfeeding around the world. If you will be joining us in Orlando, be sure to pick up a Twitter sticker for your name tag at a volunteer meeting, the registration desk or in the ILCA Lounge. If you won’t be joining, follow this live stream of all things #ilca2012. 1 Free ILCA Webinar Registration – Our webinar topics vary from legal to logistics to the latest lactation research, all earning you continuing education credit from the comfort of your own home (you can even attend in your pajamas and slippers!). $30 Off ILCA Study Modules – You’ll find a wide variety of study modules derived from articles in the Journal of Human Lactation (JHL), conference sessions, webinars, and notable publications. Need a few more E-CERPs? ILCA has them! Need to update your knowledge on a particular topic? ILCA has scores of topics from which to choose! $20 Off Purchase from ILCA’s Bookstore – We’ll have some of our latest books at the conference so you can have instant gratification with your prize or save it for another day. 1 Day Registration at the 2014 Conference – One lucky TwIBCLC will win one paid day (registration fee only) to the 2014 ILCA conference in lovely Phoenix, Arizona. Happy travels and happy tweeting!